The organizers of CineAsia 2011 have selected actress Li Bingbing as Female Star of the Year, M1905.com reports. Li will receive the award at a ceremony on December 8 in Hong Kong. CineAsia is an exhibition conference for film-related production, the only one of its kind to focus on the film industry in Asia and the East Pacific. Since 2000, Li has improved her acting skills and starred in a series of influential and successful films. Li took home the Best Actress award at the 13th Singapore International Film Festival for her excellent performance in the movie "Seventeen Years" in 2000. She snapped up other Best Actress awards at Huabiao, China's most important film festival, and the Golden Rooster and Hundred Flowers awards for her role in the film "The Knot" in 2007. In 2009, she appeared in the film "The Message," which was highly popular at box offices nationwide, and was crowned best actress at the Golden Horse Awards that year. Li has also appeared in international films. 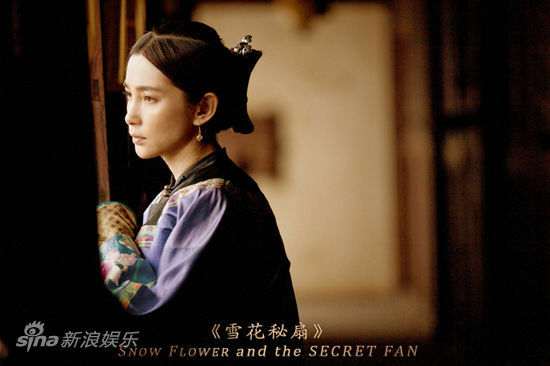 She co-starred with Jet Li and Jackie Chan in the popular kung-fu film "The Forbidden Kingdom" and cooperated with Hollywood megastar Hugh Jackman in "Snow Flower and the Secret Fan," released earlier this year. Her popularity among international movie fans grew after she appeared in the costume drama "Detective Dee and the Mystery of the Phantom Flame" and the war epic "China 1911." At present, she is playing the character Ada Wong in Canada in the fifth installment of the Hollywood hit franchise "Resident Evil." Apart from acting, Li is committed to environmental protection and charity issues. She serves as a goodwill ambassador for both the United Nations Environment Program and the World Wildlife Fund. She founded a charity called L.O.V.E in 2009, which is dedicated to various public welfare activities. Because of her charity work, the Chinese media has dubbed Li the "charity queen."